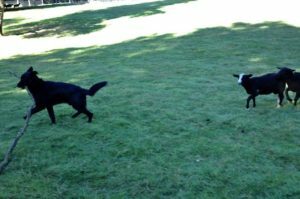 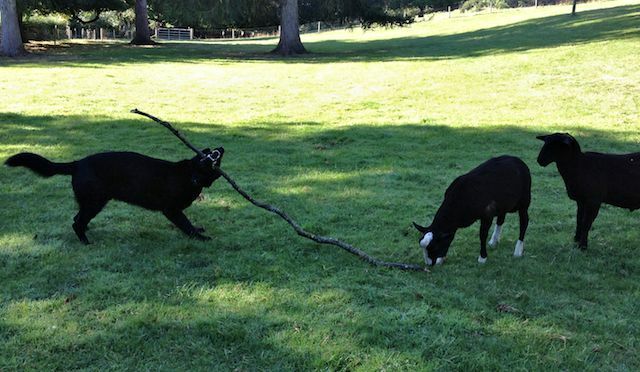 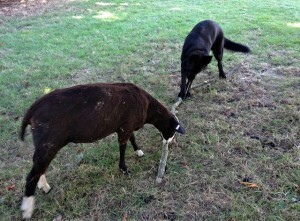 This morning there was a cross species game of tag with a stick. 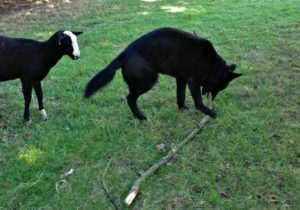 The Big Fellow found a stick twice his own length and wanted me to throw it for him. 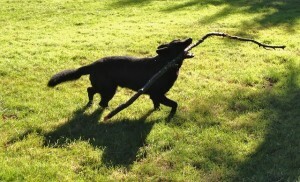 I had to turn this kind offer down as it was much to big to throw any distance at all. 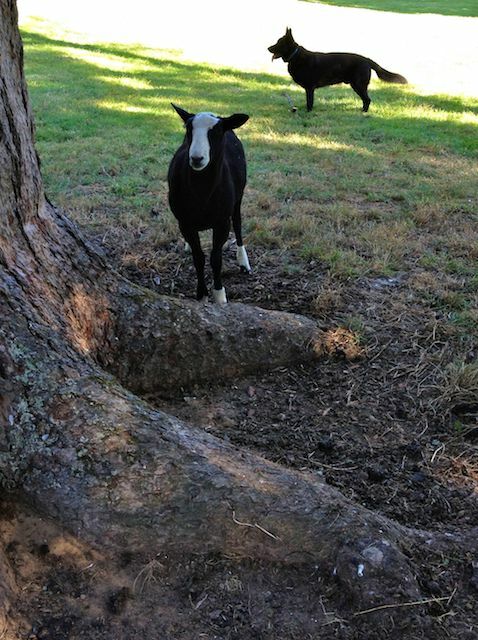 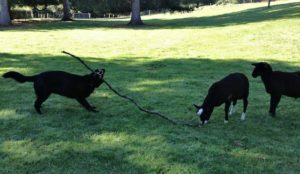 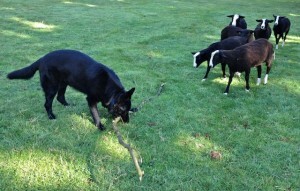 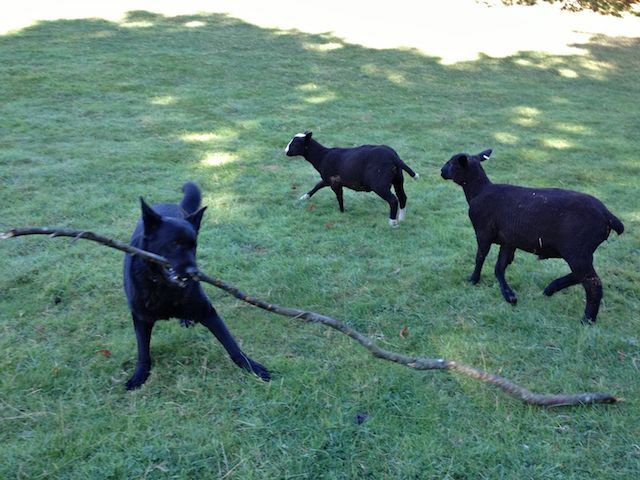 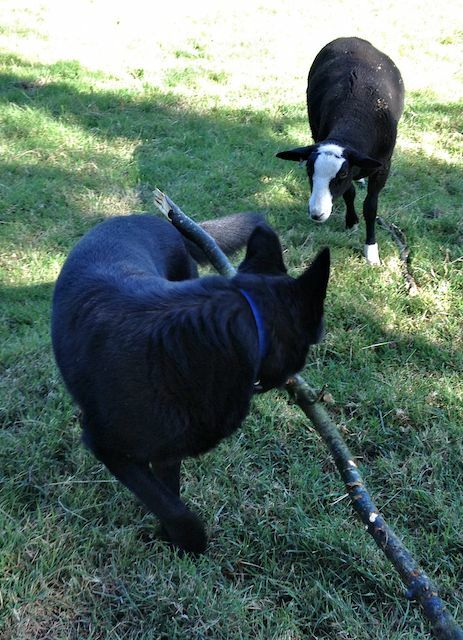 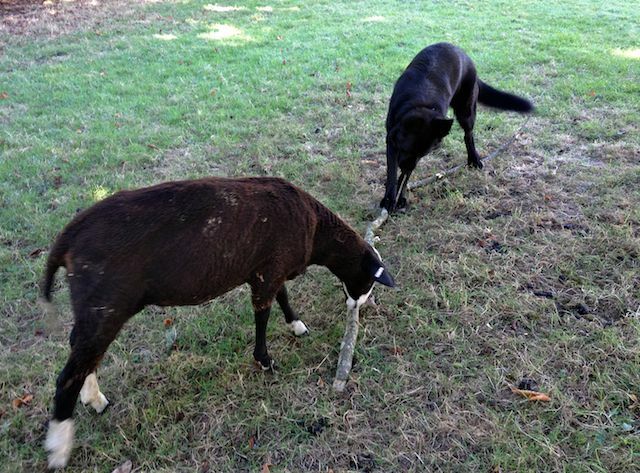 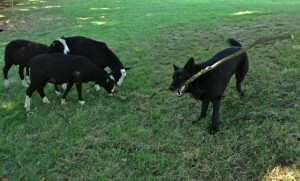 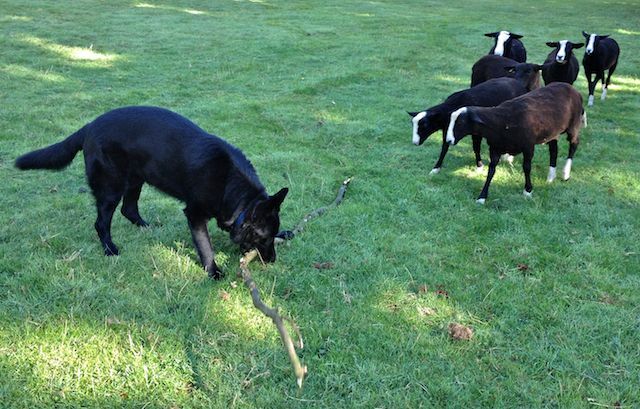 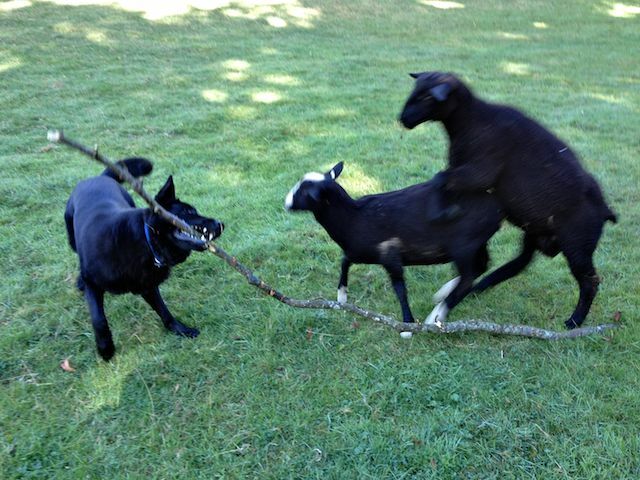 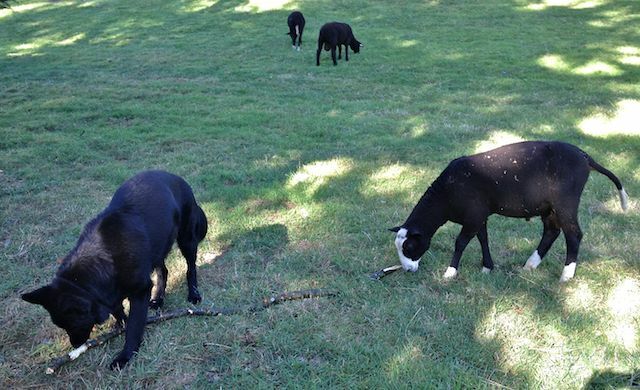 So he started playing with the lambs tempting them with his big stick. Can I Play Please With Your Stick Today?